…skin is our most vital organ, AND our first impression to the world. Yet, so many of us still leave our skin care regimens up to guesswork in the drugstore aisle. Celeste Hilling is out to change this. This Cause Bar Changemaker and Founder of Skin Authority has created a company with a tech-savvy, personalized approach to skin health -- along with a “do good” business model from the bottom up that her customers can feel proud to support. TCB: What was the inspiration for starting Skin Authority? CH: Over the years, I’ve had multiple friends and family members whose lives were impacted by skin disease. I saw an opportunity to create a company that not only took advantage of new technology for prevention and protection of skin health, but also provided expert guidance and coaching to address each person’s unique skin needs. Most importantly, I wanted people to experience the self confidence that comes from feeling great about how they look. 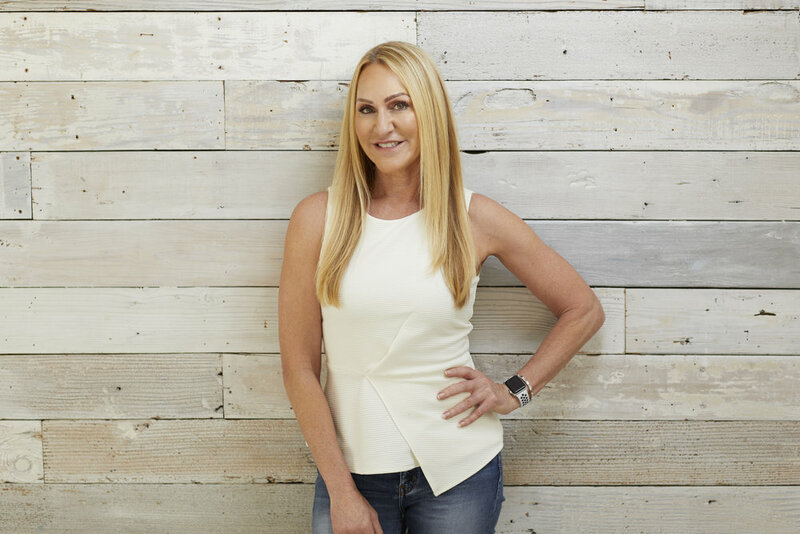 I decided to put my technology background to work to develop health-inspired products and deeply personalize the experience by providing every customer with virtual access to their own skin coach. …How is your business model making a positive impact? CH: As we built each aspect of the company, we looked at how we could make an impact. Workforce: We built a cloud-based Skin Coaching system that allows our skin professionals to coach remotely. Our workforce consists of many single parents who can’t work weekends or nights; we give them an opportunity that fits their lifestyle and enables them to stay in the industry. Community: Our product kits are built by a local group that employs people with mental, physical or other challenges and gives them meaningful life skills. Sustainability: We use minimal cartons but when we do, we require recycled paper be used with soy ink for printing. We require our packaging vendors to use wind power and e-cert credits. Our products are free of added fragrance, dyes and parabens with no animal testing. Philanthropy: 30% of our budget each year goes back into the community through our support of local charities and foundations. …Which causes do you support personally? CH: I am personally passionate about providing every child with the ability to develop critical thinking skills through play and the arts to be the next generation of innovators, so I have been Chair and on the Board of the San Diego New Children’s Museum for over 10 years. I was Co-Chair of Scripps Hospital La Jolla Advisory Board, and will be supporting the Immunotherapy Foundation in 2019, as I would love to eradicate cancer in our lifetime! TCB: What advice would you offer The Cause Bar readers who may be considering starting their own ventures? CH: Don’t wait for the perfect moment or place to follow your dream. Just put one foot in front of the other and start moving toward it. Your dream will take many shapes as you progress, so be open to learning and adapting. Don’t be afraid to ask for help. So many people are willing to share their knowledge if you just ask. Most importantly, enjoy the moment and be kind to yourself. Sweet Deal for The Cause Bar Community: Use Code CAUSE for 20% off all Skin Authority products.